User Group is a FREE conference bringing together AIM customers with developers and engineers. It provides an opportunity for system users to interact, resulting in more effective and efficient use of their systems. 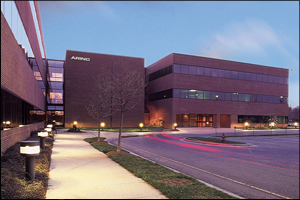 It is designed to enhance communication between customers and provides a venue for Collins Aerospace - ARINC to inform customers on product updates. Join us Wednesday, September 11 and Thursday, September 12 at our Annapolis, MD offices for two days packed with product presentations, new feature demonstrations, product roadmaps, and system training sessions. NOTE: Attendees must ensure that attendance and acceptance of the gratuities at the event does not violate their employer policies or the laws oftheir jurisdiction. Additionally attendees confirm that they have received all authorizations and approvals required by their employer to attend this event and to receive the gratuities.